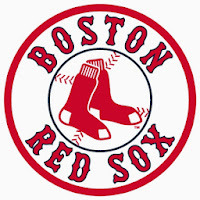 The Rock and Roll Chemist: Boston Red Sox: Champions Again in 2013! I lived through the final 24 years of The Curse. I heard all the stories from before I was born. I cried when they lost the 1986 World Series. I still have the complete team set of baseball cards my mum bought me that year. I remember the playoff losses in 1988, 1990, 1995, and 1999. I remember all the bad seasons. I was unable to speak after the 2003 ALCS heartbreak. And now in the last 10 years, I've seen them win 3 World Series. Unbelievable.